Belt feeders with center distances up to 3 m (10 ft) for accurately blending poorly flowing bulk materials, e.g. wet sands and coarse-grained materials. WÖHWA Industrial-Duty Belt Feeder, Troughed Flat Belt with Emergency Shut-Off Gate Type 09. Belt feeders with center distances from 3 m to 8 m (10 ft to 26.5 ft) for accurately blending poorly flowing bulk materials, e.g. wet sands and coarse-grained materials. 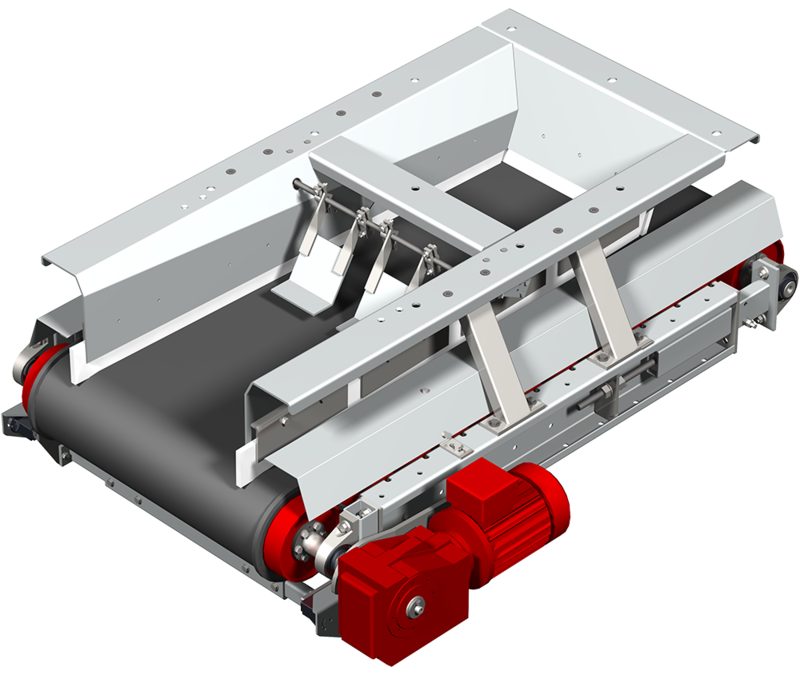 Ruggedized belt feeders for extremely rough environments, e.g. in mining industries. The use of WÖHWA belt feeders is a safe method for the reclaim of poorly flowing bulk materials (e.g. sand) or for small blending or loadout quantities. Desired percentages in blends can be achieved by using frequency converters for variable belt speeds. Standard reclaim/feed quantities of 3 to 1000 t/h can be achieved dependant upon belt width, height of material carpet, particle sizes and flow characteristics. Corrugated side wall belts or trapezoidal flat belts are used for an optimized material flow. The new "tight transfer box" prevents material from spilling between discharge gate and belt feeder and the mechanical parts of the discharge gate can no longer get soiled. All parts of the discharge gate are freely accessible. 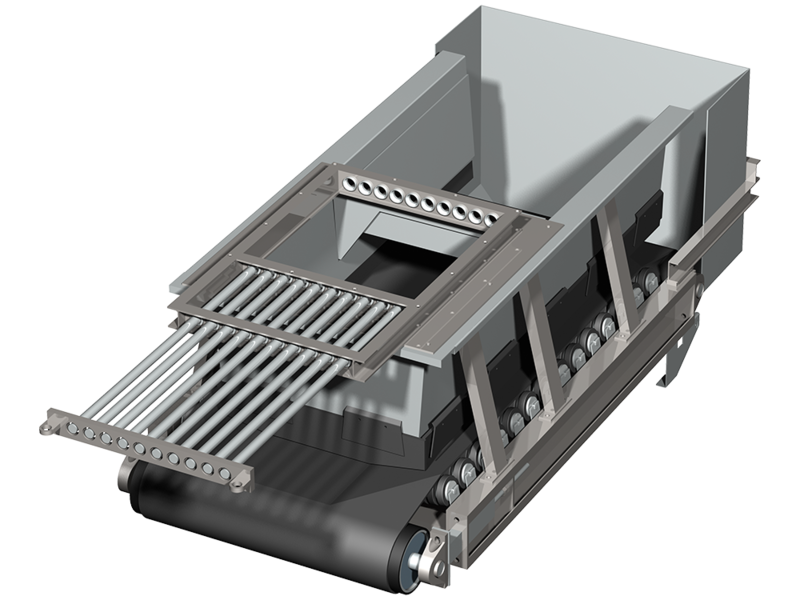 Discharge gate and belt feeder components can be exchanged even if a stockpile or bin is filled with material. The carefully selected drive mechanism components provide a powerful and reliable drive force. WOHWA Distribution North America, Inc.